If you do it for investment it can be self rewarding financially if the property you buy has that probability that it can enjoy one of the highest property appreciation in the real estate market when you decide to dispose it later for financial gain. One of the main consideration in buying a home is its location and affordability. Location matters because it has implication in two significant areas: quality of life and the resale value of a home. *** In buying a home, make sure that you are buying only from reputable real estate developer that deliver its goods and services with a good track record, where buyers have become satisfied and happy homeowners. *** Canvass mortgage loan terms – For some monthly amortizations, it will be the center of concern, for some interest rates. Generally, the lower the monthly mortgage payments the higher the interest rates. 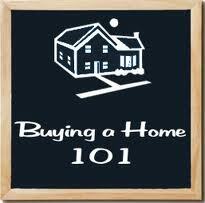 Anything that is a major purchase, it is still best to make sure the mortgage loan term is workable on the long term. *** Take time to asses what you want against what you can afford. Your income should be consistent with your plan in acquiring a property. If not, you may suffer from foreclosure. So it is important to balance between affordability and marketability of your house so that if things get difficult financially, you can sell it at a higher price. *** Pay attention to lighting and ventilation. Ample sized windows allow for good lighting and ventilation where you can save eventually from air conditioning and lighting costs. *** As much as possible, go for long term, fixed home lending rates. Mortgage rates among banks now don’t vary much, and if these rates will go up in the future, they will not be far from the rates that banks currently charge. However, to be sure of sudden market volatility caused by unforeseen financial upheavals doesn’t hit you, go for long term fixed rates.